IFFRAAJ (GB) (Brown 2001-Stud 2007). 7 wins-1 at 2, Goodwood Lennox S., Gr.2. Leading NZ Sire of 2YOs in 2015-16. Sire of 1143 rnrs, 700 wnrs, 65 SW, inc. Ribchester (Deauville Prix Jacques Le Marois, Gr.1), Gingernuts, Jon Snow, Turn Me Loose, Rizeena, Chriselliam, Wootton Bassett, Jungle Cat, Benvenue, Fix, Serena Miss, The Black Princess, Hot Streak, Wyndspelle, Magic Artist, Muffri'ha, Melt, Kisses, Forjatt, Chilean, etc. SAMPSON (g. by Dubai Destination). 9 wins from 1400m to 2400m, NZ$361,200, Manawatu RC Awapuni Gold Cup, Gr.2, WRC Trentham S., Gr.3, Egmont RC Egmont Cup, Waverley Cup, WRC Margaret Arnold Anniversary H., Rydges Wellington H., Wanganui JC Coro Angel Syndicate H., 2d Wellington Cup, Gr.3, Manawatu RC Pioneer H., Hawkes Bay Hawke's Bay Ranfurly Shield Country H., Levin RC Dunstan Feeds Qualifier H., 3d Manawatu RC Awapuni Cup, Gr.2, Wellington Cup, Gr.2, Manawatu Cup, Gr.3, WRC Hanley Formula H., Manawatu RC Aqaba H., 4th ARC City of Auckland Cup, Gr.3, CJC New Zealand Cup, Gr.3, Manawatu Cup, Gr.3, Marton Cup, L, Feilding Gold Cup, L.
MISS UPSTART (f. by Snippetson). 3 wins-2 at 2-to 1400m, Counties Challenge S., L, 3d ATC South Pacific Classic, L.
Unique Magic (f. by Denman). 5 wins from 1200m to 1650m in 2017-18, 2d BRC Sky Thoroughbred Central 2YO P.
Super Hero (g. by Rip Van Winkle). 2 wins at 1000m, 1200m, Singapore TC Class 4 H., 2d Singapore TC Penang Turf Club Trophy, 3d Singapore TC Novice P.
Pradier (g. by Perfectly Ready). 2 wins at 2000m in Aust. Cavalia (g. by Iffraaj). Winner at 900m in Aust. Kolding (c. by Ocean Park). 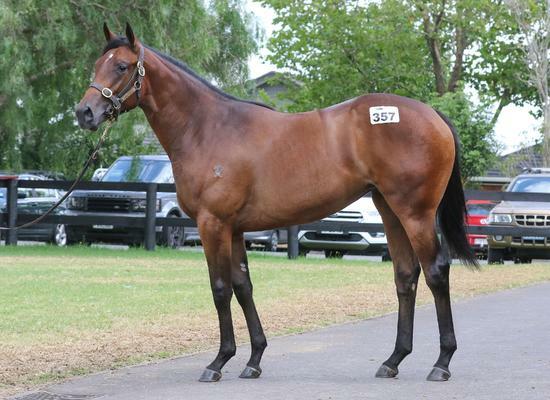 Placed at 3 in 2018-19, 3d ATC ANZ Bloodstock News H.
MAKE MINE MAGIC (Canadian Silver). 14 wins from 1000m to 2200m, A$942,300, QTC Grand Prix S., Gr.2, Sir Byrne Hart S., Gr.2, BTC Summer S., Gr.3, Bernborough H., L-twice, QTC Dr John Power H., L, GCTC Surfers Paradise Bowl, L, VATC Silks Circle H., QTC Australia Self Storage Strathpine H., Franklins 3YO H., Sky Ace H., Gold Coast Guineas, 2d QTC PJ O'Shea S., Gr.2, BTC Cup, Gr.2, BTC Courier-Mail Classic S., Gr.3, BTC Sprint H., Gr.3, 3d Queensland Guineas, Gr.2, VATC Moonga S., Gr.3, VRC Fiesta Star H., BTC Queensland Police Credit Union H., 4th QTC Stradbroke H., Gr.1-twice, Sir Byrne Hart S., Gr.2, AJC Craven P., Gr.3, VATC Kevin Heffernan S., L.
Might be Magic. Winner at 1400m in Aust. Follow the Arrow. Winner at 1400m in Aust. Simply Red. 3 wins to 1350m, QTC Tipperary H., Striking Force H., 2d BTC DBC Raceday H., Yes Mistress H., QTC Yippyio 3YO H., Analie H., 3d BTC Southern Cross Sports Club H.
Searlait. 2 wins-1 at 2-at 1100m, TRC DJ Motors 2YO H., Peta Sorell H., 3d TRC Betfair 2YO P., Polanowski Plumbing H., TTC Jansz H., St Andrews H.
Schillinsworth. 2 wins at 1350m, 1700m, BRC Prosafe H.
Raffael Nediym. 8 wins to 1400m, A$75,525, 2d BTC Brynhild H., QTC Lyndhurst Stud H.
Jude's Way. Winner at 2 in Aust. Latinski. 2 wins at 1000m, 1350m, BATC Griffith Women H.
Romanino (Claudius). 15 wins-3 at 2-to 1400m, Qld Tatt's RC WD Ross S., 2d QTC Ascot H., L, 3d BATC XXXX S.H., Gr.3. Sire. STRAWBERRY MALT (Lion Hunter). 6 wins-1 at 2-from 1200m to 1600m, A$285,700, QTC Golden Garter H., L, Bright Shadow H., L. Producer.